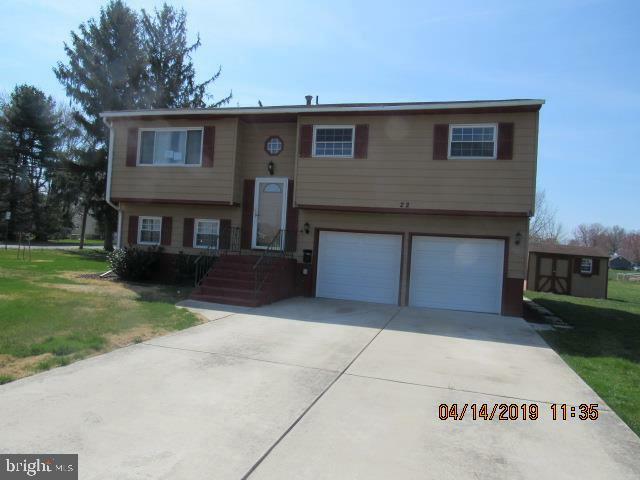 All Westampton homes currently listed for sale in Westampton as of 04/20/2019 are shown below. You can change the search criteria at any time by pressing the 'Change Search' button below. 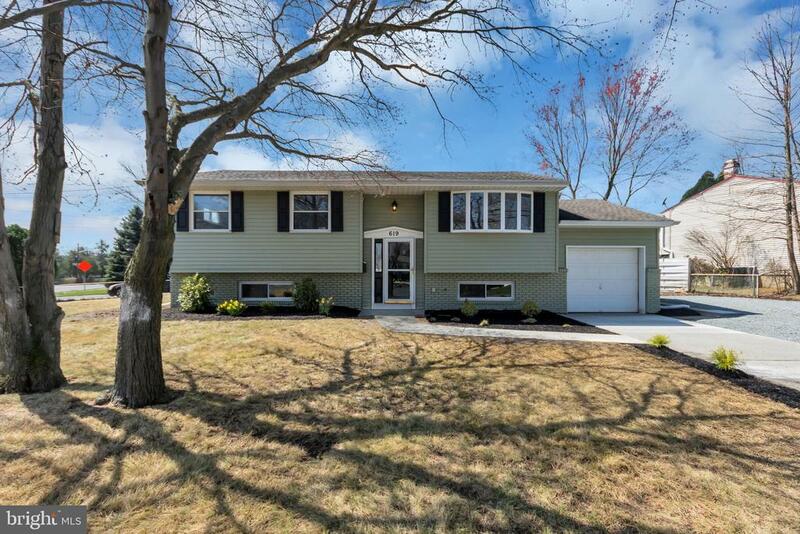 If you have any questions or you would like more information about any Westampton homes for sale or other Westampton real estate, please contact us and one of our knowledgeable Westampton REALTORS® would be pleased to assist you. 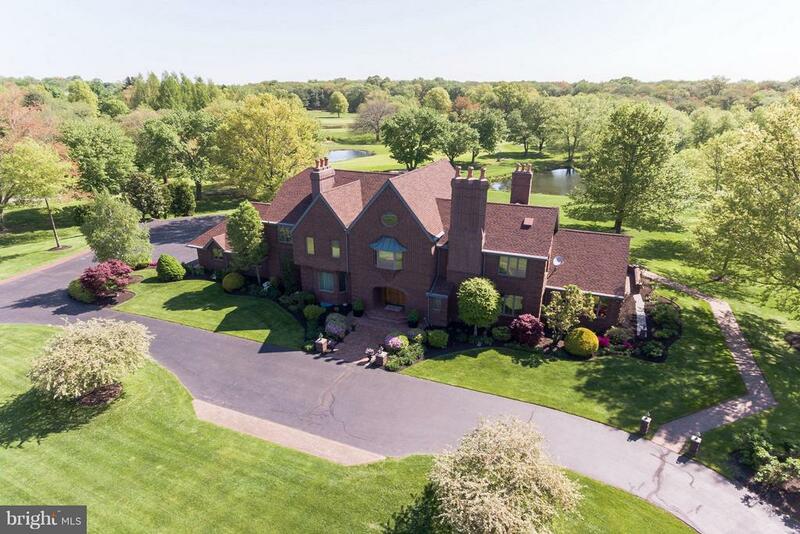 "Situated behind a gated entrance this brick custom estate is a wonderful mix of landscapes. The 34 acres* include lush green grass, four ponds, wooded wetlands, and a view of the golf course. The custom-made double front doors are exquisite & set the tone for the craftsmanship inside. The foyer, finished w/a marble & granite floor with radiant heat & a brass and metal stair rail modeled after a 19th-century Parisian townhouse, is timeless and appealing. To each side are inviting formal rooms w/high ceilings, significant millwork & moldings custom crafted in S. Carolina, pristine hardwood floors, fireplaces & tall windows creating interiors awash in natural light. Relax in the sunroom off the formal living room where radiant heat keeps it cozy year-round. Or opt for a study lined in custom-crafted oak panels & fireplace. The floor-to-ceiling brick fireplace is the focal point of the vaulted-ceiling great room. The room provides a dramatic space large enough to accommodate various seating areas. The kitchen w/island and casual dining area is outfitted with Siematic cabinetry & top of the line appliances by Miele, Sub-Zero & Gaggenau, a triple-bowl stainless steel sink & 2 bar sinks. Access side & rear terraces from a variety of rooms, providing great flow for entertaining. Two mud room & service areas w/laundry & other conveniences, 2 powder rooms & access to a heated 2+ car garage complete the 1st floor. Private quarters include a main bedroom suite w/2-sided fireplace serving the sleeping quarters & a sitting room, a dressing room, his & hers baths in classic gray & white marble, and a step-down room that currently serves as an exercise studio with ahot tub. 3 addt'l bedrooms, 2 with a Jack & Jill bath and one served by a hall bath. The elevator also serves the top floor, which is now used as office space but w/a full kitchen and bath, can also serve in-laws, an au pair or guests. Designed for entertaining, the finished portion of the lower level incl. a custom we"
"Plan to spend a lot of time to view this home, it's spectacular and truly one of a kind-no cookie cutter home here! 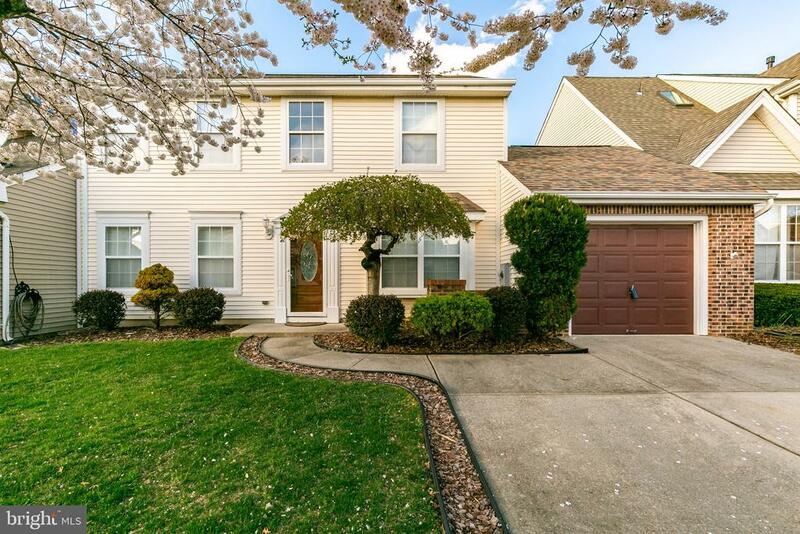 As soon as you arrive to this lovely home in this prestigious neighborhood right next to the Burlington County Country Club you won't want to leave. Beautiful landscaping greets you as you walk along the front walkway to the large covered front porch, on into the home through the double doors into the dramatic foyer with grand turned staircase and vaulted wood ceiling. Off the foyer is the formal dining room with huge window looking out onto the property, past that is the cozy family room. From there you will enter into the updated kitchen with granite counter tops, custom tile back splash and full appliance package. The breakfast nook is adjacent to the kitchen and off of that is the spectacular great room with hardwood floors, beautiful fireplace and sets of French doors and a nearby full bath. Upstairs you will find 4 nicely sized bedrooms, a newer full bath and a separate laundry room. The master bedroom is amazing and features a sitting room/nursery, a HUGE walk-in closet, a sumptuous new tiled full bath with shower stall and Jacuzzi tub and if that's not enough-a private enclosed balcony. Don't forget the theater in the finished basement, the huge deck that leads to the private in ground pool with lushly landscaped patio. Over 1 acre of lovely maintained yards and gardens grace the property. There's just too much to mention here, make sure to make your appointment soon to see this remarkable home!" "Stunning 'Cedarbrook' in Desirable Deerwood Country Club Estates! This one has everything on your list and more. 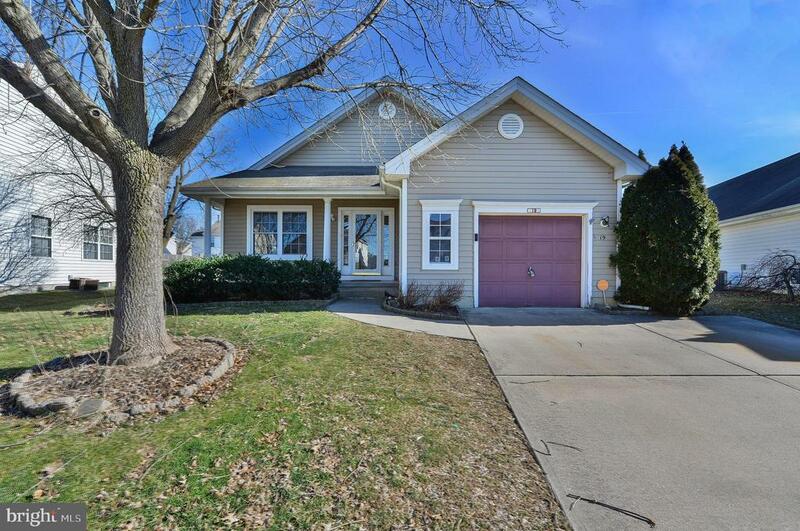 Warm Hardwood Floors, Vaulted Ceilings, Open Floor Plan, Main Floor Laundry Room, Upgraded Kitchen, Spacious Formal Living Room, Large Formal Dining Room, Three FULL Bathrooms and YES - the Basement is FINISHED! If you LOVE to Entertain - then your search is over. This home features a Beautiful Paver Patio - PERFECT for Spring Parties & Summer BBQs. The Formal Living Room and Dining Room will meet all of your Dinner Party needs. And, what better place to enjoy your Birthday Party or Super Bowl Party than in the SPECTACULAR Finished Basement. Meticulously Maintained and Lovingly Cared For - Come and see for yourself!" "Be prepared to be impressed. 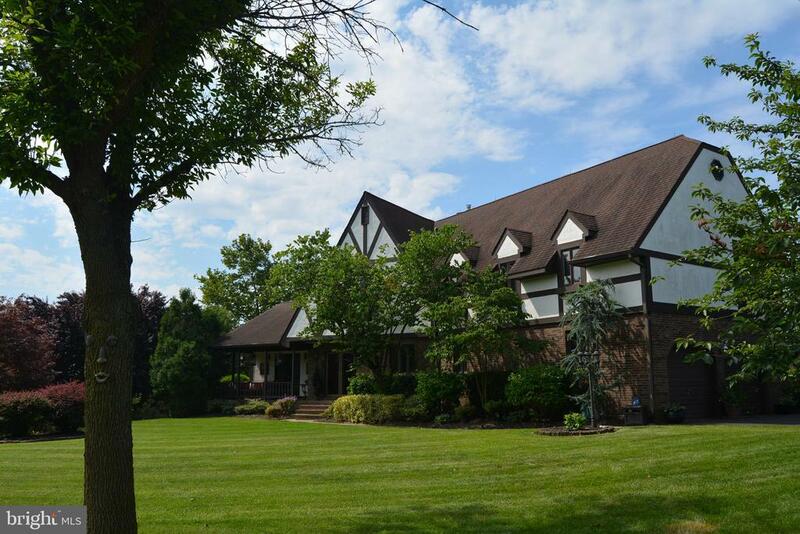 Gorgeous 4 bedroom with 3.5 baths and bonus room sitting on lovely1.6 acres of wooded land. Whole home freshly painted with new flooring, lighting fixtures and so much more. Enter the home into the foyer to a very tasteful and eyecatching pallet wall. Newer wood burning stove fireplace insert and mantle with views of wooded lot can be enjoyed in the family room. New ceiling light fan with remote control. Continue to the playroom/ study with newer lighting. Flat screen tv on wall mount will stay. Won't get bored in the laundry room with newer Samsung electric washer and dryer with pedestals. Newer flooing, ceiling lights, and fiberglass rinse tub. Half bathroom off kitchen recently redone. Bonus room downstairs with full bathroom. Private entrance. Can be used as in-law suite. If you aren't wowed yet, wait until you see the kitchen. Withing 2 years old Samsung stainless steel double oven 5 burner gas range, convection oven, and microwave, 4 door refrierator. Glass backsplash with state of the art respectables and switches. Undermount cabinet lighting. 48 inch cherry cabinets with toppers, bread box. Granite counter tops. Dining room off kitchen with beautiful crown molding and hardwood floors. Be dazzled by the 4ft long crystal chandelier. Living room is so comfortable with crown molding and hardwood floors. 3 bedrooms upstairs with ceiling fans. Wall mounted TV to stay in one bedroom. Bathrooms upstaris redone recently. Master bathroom in master bedroom. I am not done!!! Basement has whole house dehumidifier, upgraded electrical panels, whole house surge protector wired into electrical panels, whole house generator line from electrical panel to generator plug outside, 1,000 gallon septic pumped out February 2019. Don't wait to schedule your tour. This home won't last long!" "Very well maintained townhome on the 17th hole of Deerwood Country Club. Gleaming hardwood floors greet you at the front door. Open layout with family room that features gas fireplace and hardwood flooring, and cathedral ceilings. Adjacent is the spectacular kitchen with an entire section of extra 42 cabinets and granite countertops., S/s appliances and the same beautiful hardwood flooring. Dining area with brand new carpeting. Upstairs there is a large master bedroom with sitting area and deck looking out to the 17th fairway. Your own private bath completes this master suite. Also upstairs are 2 spacious bedrooms and a full hall bath. Laundry room is located upstairs for your convenience. Full basement waiting to be completed and a 2 car garage to keep you and your car out of the weather. Recently painted and very clean, come see this beautiful future home of one lucky buyer. New heat and ac, fresh paint and carpet as well." 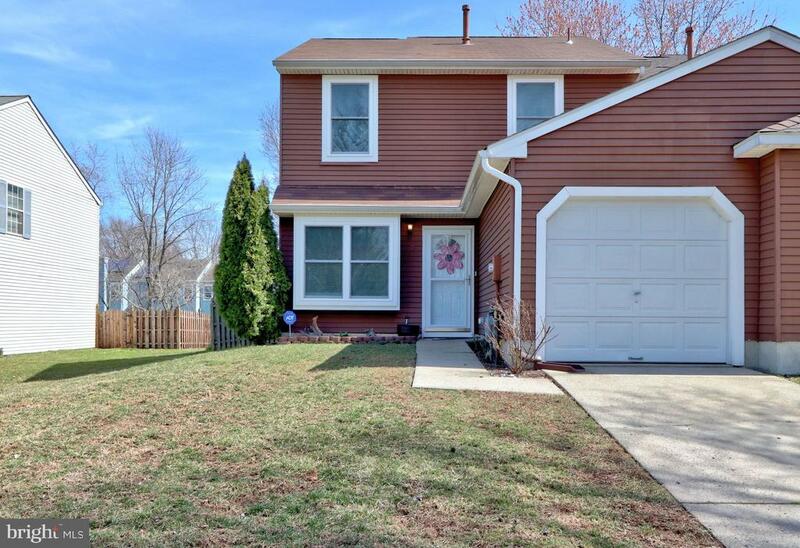 "Spacious four bedroom 2.5 baths. Home with open concept. Over 2,000 square feet plus full finished basement. Formal entry reveals beautifully appointed living room and dining room with hardwood floors throughout the first floor. Open concept kitchen with cherry finished cabinets and breakfast nook with bar. Family room with wood burning fireplace overlooking oversize double deck. On the second level, you will find master bedroom and three additional bedrooms. Master bedroom features walk-in closet, double vanity in master bath and Jacuzzi tub. Convenient second floor laundry room. Basement is fully finished with ample living space and tons of storage. The home comes with energy efficient solar panel system. Good way to save money! 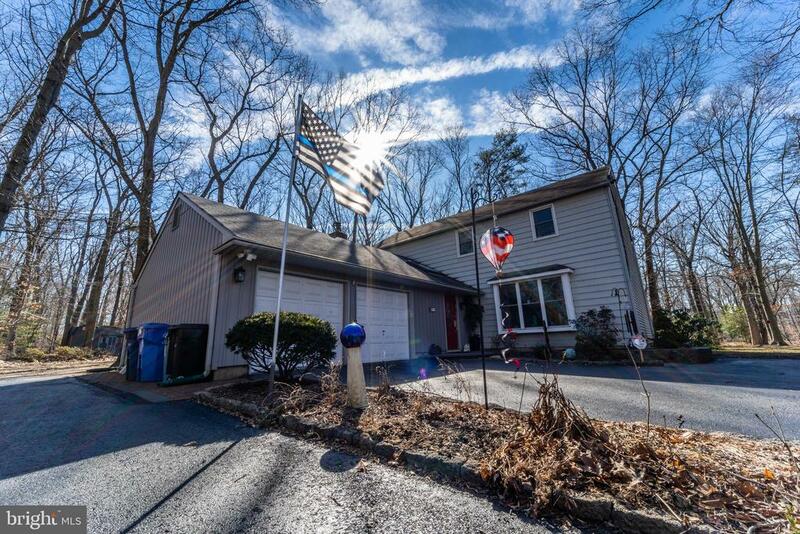 This home is conveniently located near Route 295 and NJ Turnpike and charming downtown Mt. Holly. Fort Dix is 15 minutes away! Home is USDA financing eligible. No association fees!" "Welcome to Fernbrooke. An Active Adult community conveniently located near all the major highways, Shops and restaurants. The Greenbriar model has a open floor plan with 9' ceilings and the main living areas are open to each other. The family room has a corner gas fireplace and access to back patio. The spacious kitchen has granite counter tops, 42custom kitchen cabinets, gas cooking,new flooring and bright breakfast nook. Master bedroom has huge walk in closet, over sized stall shower and double sink. Also on the first floor you have large second bedroom with full bathroom in the hallway. This home has a beautiful loft for entertaining and bedroom upstairs. You must see this Home!" "GOLD STAR PROPERTY! 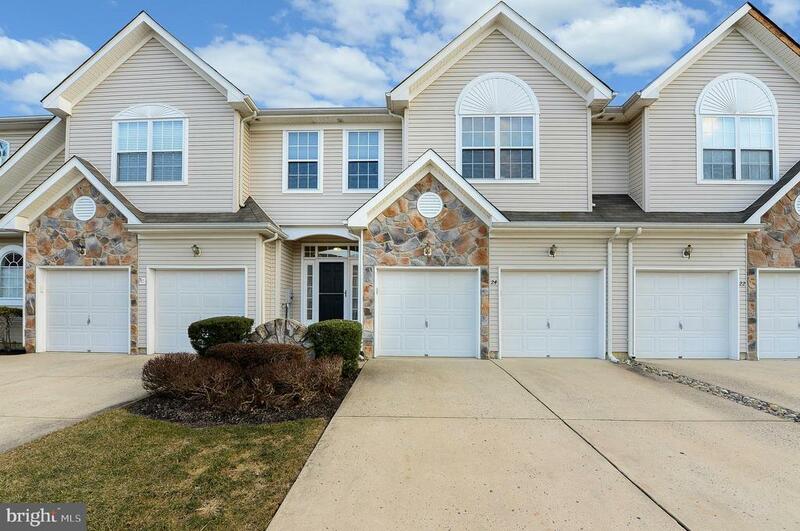 Move-in ready Ashmoore II Model in the Spring Meadows division of sought after Westampton township. Featuring 4 bedrooms, 2.5 baths and nearly 2,000 square feet of living space. Elegant brick accents, a covered portico, and lush landscaping create a dramatic first impression. Inside a soaring two-story foyer is flanked by the spacious formal living and dining rooms. Just beyond is the oversized family room with marble gas fireplace and media niche. The gourmet kitchen is sure to please with its overabundance of 42 cabinets, center island, planning desk and view of the fenced rear yard. Upstairs find four spacious bedrooms, including a sumptuous master with tray ceiling, plenty of closet space and fabulous bath with skylight, double sinks and double shower. Recent upgrades include newer carpeting and new faucets throughout, fresh paint, new fiberglass porch columns, and fully fenced rear yard. Includes a Pearl Energy Efficiency Certificate and leased solar panels. 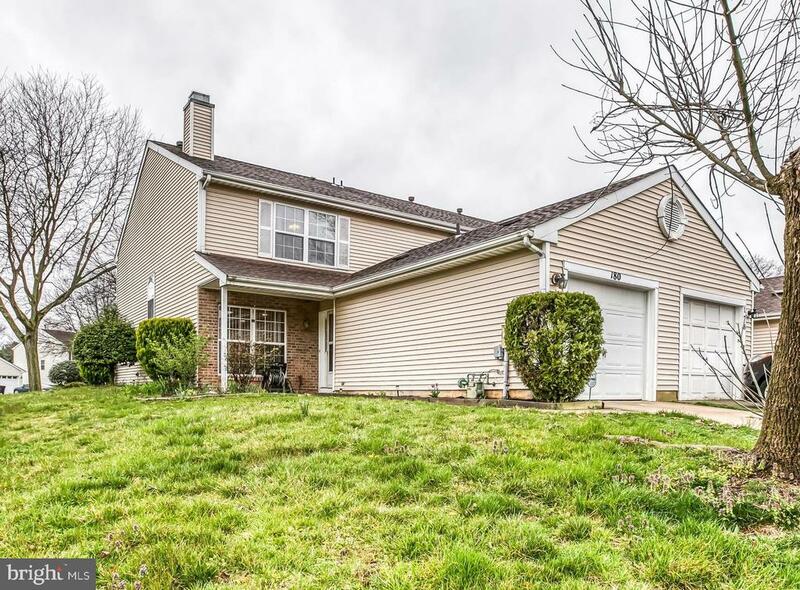 Situated close to major roadways, Joint Base MDL and the Hamilton train station making for an easy morning commute plus an added one year home warranty for buyer peace of mind." 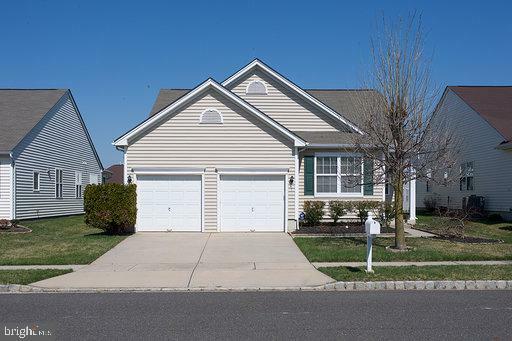 "Step inside this well maintained 2 bedroom, 2 bath Hovnanian, Hearthstone model located in beautiful Fernbrooke community. With an amazing open floor plan, loads of natural light, first floor living couldn't get any better. The only thing left to do is move in! Don't miss out on this beautiful home." "Prepare to be impressed! Pond View! Almost 2,400 sq. feet of elegance. Lovingly kept! 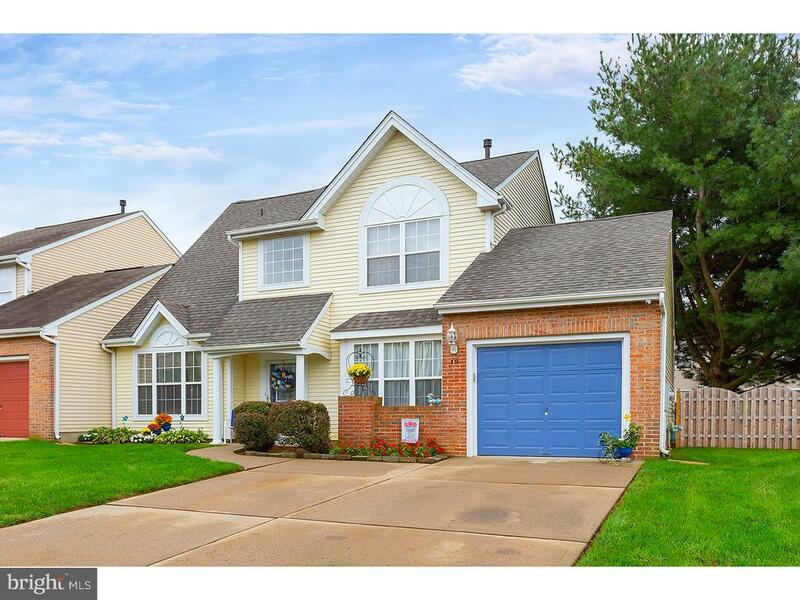 Impeccable 3 bedroom 2.5 Bath townhouse in desirable Westampton Woods with a RARE 3rd Floor Bonus Room. 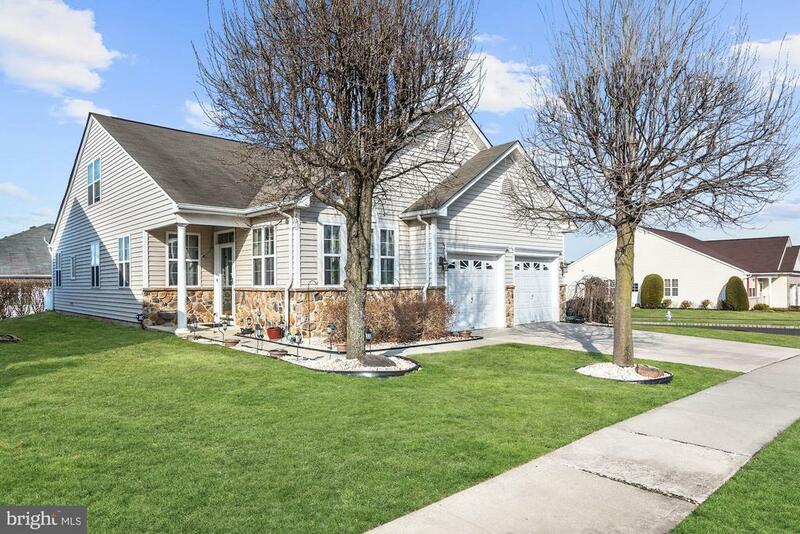 Nicely landscaped, pleasant curb appeal, brick paver driveway!Many freshly painted rooms! Light and airy 9 ft ceilings as you enter the open concept Living Room/Dining Room with new recessed lighting, Dark Wood Laminate Floors on the entire first level, crown and custom molding. Nest thermostat can control the HVAC unit via smartphone app, and controls first 2 floors. Breathtaking 2-story Great Room with Vent-less Gas Fireplace & remote controlled ceiling fan. Gourmet kitchen with New Quartz counter tops, coordinating backsplash, peninsula for stools, plenty of 42 white cabinets, newer Stainless Steel appliances including double oven, microwave, dishwasher, refrigerator. New HUGE sink, faucet, garbage disposal, NEW recessed lighting, pantry, and sunny breakfast area with sliding doors leading to fenced yard & new 8 x 15 concrete patio. First Floor features newly remodeled half bath, hall closet, extra storage closet, and interior access to garage. 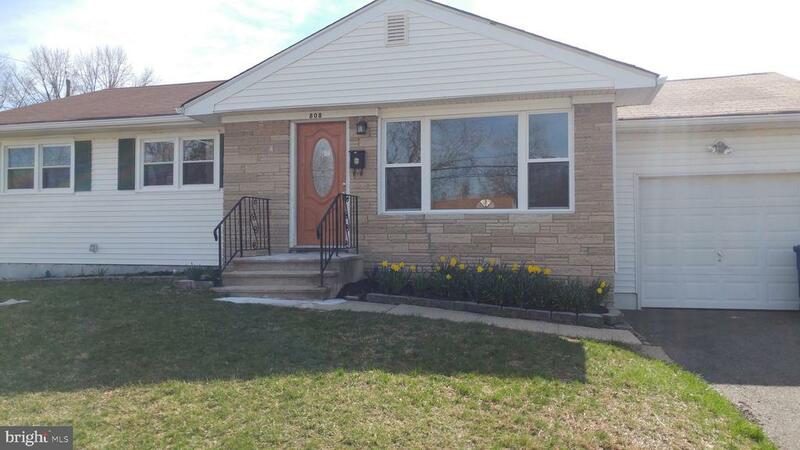 BRAND NEW NEUTRAL CARPET Upstairs & features 3 spacious bedrooms and 2 full baths. Sophisticated Master Bedroom Suite has New Attic access with pull down stairs, attic flooring, walk-in closet, recessed lighting. Updated Master Bathroom with double sinks, soaking tub and shower. There are two additional bedrooms that have ceiling fans with remotes, and second full bath with refreshed cabinetry. This unit features a RARE 3rd Floor BONUS ROOM that has it's own separate Nest thermostat, and skylight. This space can be a great office, man cave, library, den, playroom. Top notch popular location close to Rt. 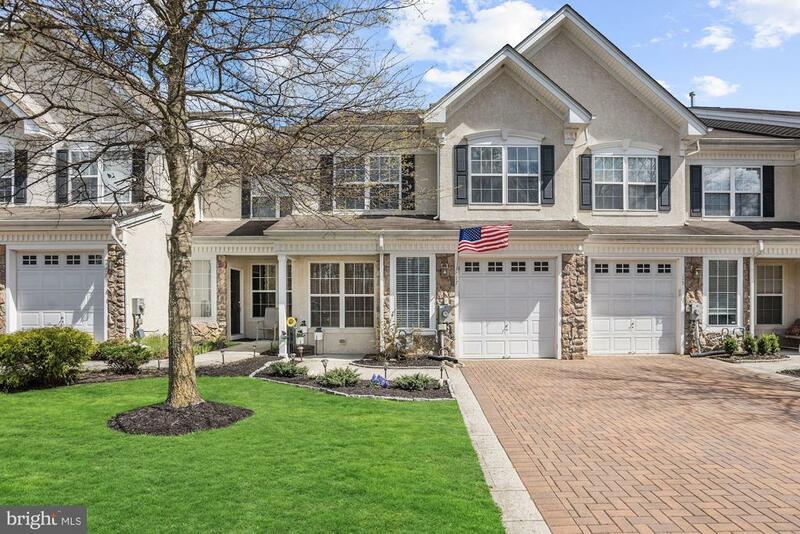 295, NJ Turnpike, joint military bases, Philadelphia, Jersey shore beaches, shopping, dining, & parks. A shiny gem, so grab it before it's too late!" "A MUST SEE!! 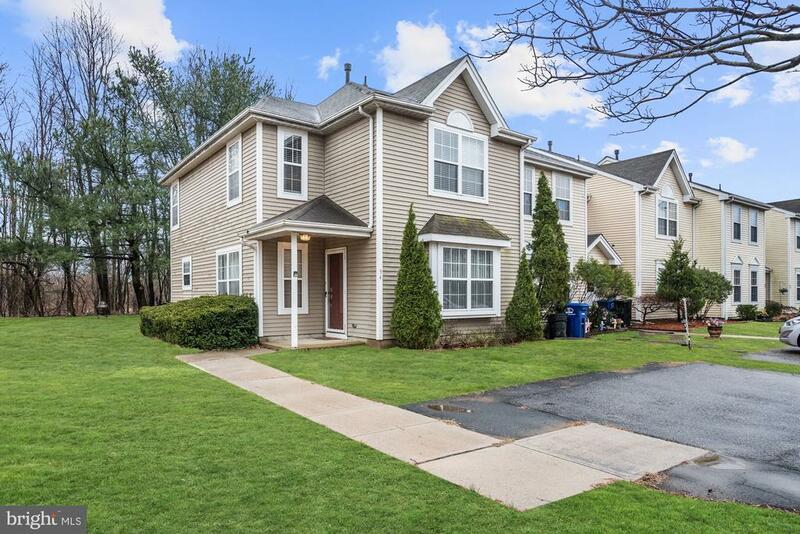 Beautiful End Unit Townhouse in the highly desirable Westampton Woods. 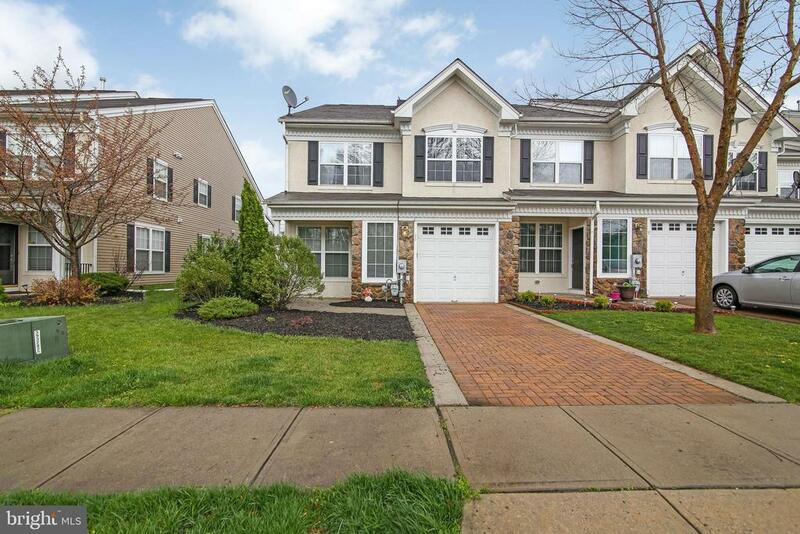 This Townhome has manicured lawn, terrific curb appeal, and is beautifully landscaped. Once inside, you'll find a home that is fresh, bright, and meticulously maintained with more space than you could imagine. As you enter your new home, notice the custom designer trim, Crown, Chair Rail and Shadow Box Moldings which enhances the inviting charm and sophistication of this lovely home. This home features a formal living room, a formal dining room, and a two story family room with a beautiful fireplace and a ceiling fan. Delight in serving those meals from your beautifully designed kitchen with tons of cabinet space, granite counter tops, flush mount sink, hardwood floors, and stainless steel appliances. The kitchen also features a breakfast bar that separates the kitchen from the family room. As you go upstairs to the second level, you will find three generous size bedrooms including large master suite with a private bathroom and walk-in closet. A second full bath is shared by the other two bedrooms. As you go outside onto your paver patio, overlooking your fenced in backyard, notice there's plenty of space for entertaining your family and friends. This magnificent townhome is in move in condition due to the many updates by its loving owners, There is so much to love about this home, Make your appointment to see it today!" "Welcome Home to 27 Beaumont Place! Freshly Painted and Ready for It's New Owner!!! This lovely End unit townhouse features an open floor concept with hardwood floors throughout the entire first floor. The beautiful eat in kitchen has granite counter tops, stainless steel appliances and a breakfast bar. Relax in the cozy family room in front of your gas fireplace that has two story high ceilings. There is a spacious living room, dining room and half bath that complete the first floor. The second floor features a spacious master bedroom with a walk in closet and an en-suite master bathroom with a dual vanity, stand up shower and soaking tub. There are two more bedrooms and an upstairs laundry room that complete the second floor. Additionally there is a 1 car garage and a brick paver driveway. Don't let this one get away, Come Make This Home Yours Today!!! This home is ready for immediate occupancy!" "Owner is a licensed real estate agent with Keller Williams." "Situated on a premium, oversized lot with an enviable end-of-group location this Barnsley model is sure to please. Upon entering, a soaring two-story foyer with an elegant turned staircase provides a dramatic welcome. Flanking the foyer on wither side are the formal dining room and parlor. Neutral colors and upgraded flooring allow for a multitude of decorating options. The expansive family center is sure to be the hub of activity. Consisting of an upgraded white kitchen with island, 42 cabinets, planning desk, and large pantry plus an adjoining family room with gas fire place, one will always be part of the action. Upstairs, three spacious bedrooms, two full baths, and a convenient second floor laundry comprise this level. The Master suite is truly sumptuous; replete with a cathedral ceiling, room size walk-in closet, and spa-like bath with skylight and double shower. Additionally, the home has many recent upgrades including roof, HVAC, and fence. Further upgrades include whole house audio, security cameras w/DVR, security system, & new front door. Theres is so much to love about this property. Welcome Home." 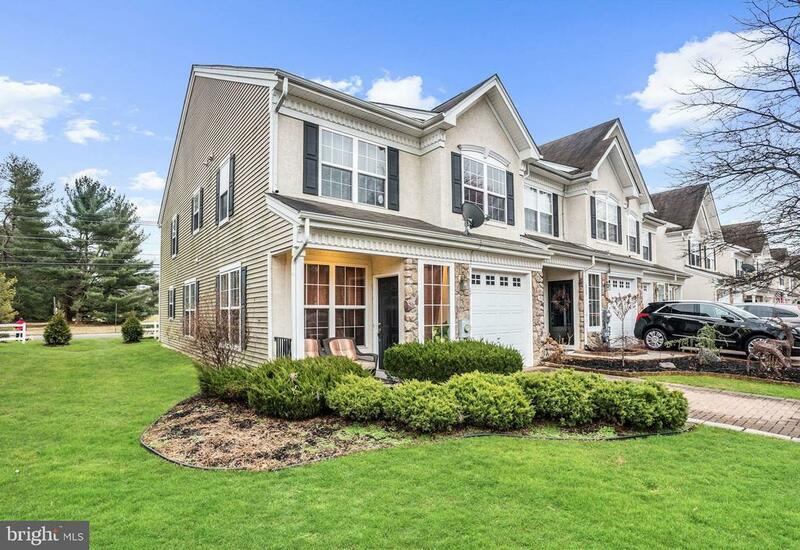 "A well manicured lot with numerous specimen plantings surrounds this charming Fairfield model in desirable Spring Meadows. The dramatic two-story foyer gives way to an expansive kitchen/family room. Remodeled two years ago, the kitchen boasts upgraded maple cabinetry, custom tile backsplash, granite counters, & upgraded stainless steel appliances. A large double window floods the space with natural light, while a spacious pantry provides additional storage. The great room is contiguous to the kitchen creating one vast space for entertaining and everyday living. The upgraded tile flooring flows into this space , allowing for visual continuity. The gas fireplace w/media nice is a focus point of the space. Sliders lead out to the stamped concrete patio and well-landscaped rear yard. The useful first floor bonus room could be used as a home office of formal iving room. Upstairs you will find three large bedrooms and two full baths. The spacious master suite offers a remodeled bath with dual vanity & oversized shower, and a room size walk-in closet. The second floor laundry room is an added bonus. Newer carpeting throughout, and a tasteful,neutral decor will allow all kinds of decorating options. Recent upgrades include new roof, kitchen, baths & flooring in 2017, new HVAC and hardwood flooring in 2018, custom window treatments throughout, and a large shed. 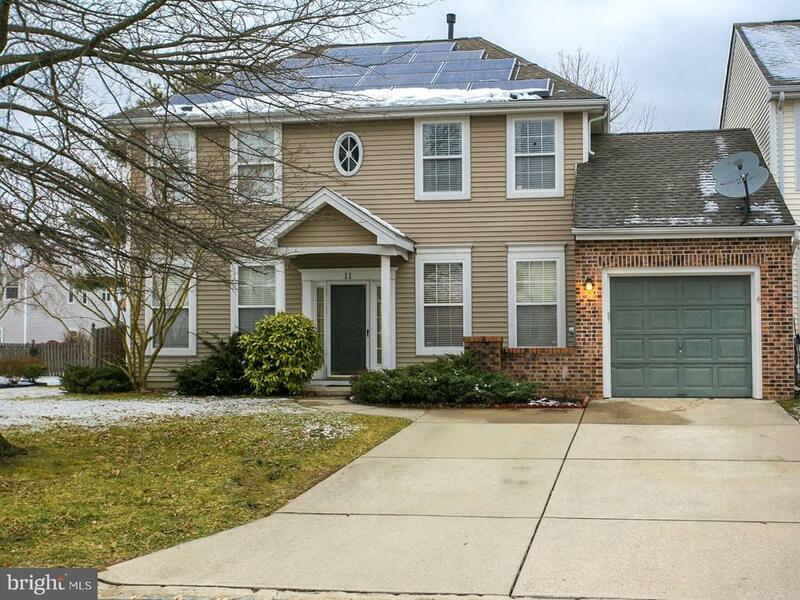 The location is a commuters dream; just one mile to exit 5 of the TPK.,and less than a half mile to 295, making this location ideal for those commuting north or south. So much home at such a great price, makes this a true standout. There's nothing to do but move in and enjoy. Welcome home!" "This beautiful 2 bedroom 2 full bath ranch style detached home is spacious and has 9ft ceilings, open floor plan. Bonus sun room. 2 Car garage and separate laundry room. Lots of closet space. Beautiful laminate flooring. Gas fire place. Sun room. Beautifully maintained. Upgrade to kitchen includes installation of island, garbage disposal replaced 2017. Furnace replaced in 2018. Hardwired smoke alarm 2019. Nice size rear patio." "This contemporary ranch style home is worth a look in order to appreciate the large living room, andspacious kitchen with an adjacent den area. The spectacular master bedroom boasts acathedral ceiling and full bath and there are huge closets in both bedrooms. The laundry area isbehind doors on the main floor and added to all of that is the finished basement with living spaceand lots of storage space as well. This is indeed a home you will enjoy living in." "Recently renovated three bedroom, one and a half bathroom ranch set on corner property in Holly Hills subdivision. Fenced yard. Patio. Deck. Garage. New appliances in updated kitchen. Updated bathrooms. New carpet. Freshly painted. Central Air Conditioning. Partially finished basement. ***1st 20 days-owner occupy or nonprofit. Investor 21st day after list date***"
"Welcome home to this 3 bedroom end unit in Spring Meadows. The home has new flooring through most of the first and second floor. The large eat-in kitchen features newer cabinets and a tile floor. There are sliders leading to the backyard that backs to a wooded area. The second floor has three bedrooms and a large bathroom that can be accessed from the master bedroom. The master bedroom features two closets and a sitting area. There is a park nearby with a playground, basket ball and baseball fields as well. Make your appointment to see this home today!" "Bilevel home with 4 bedrooms, 1.5 baths, eat in kitchen and about 1908 square feet of living space. 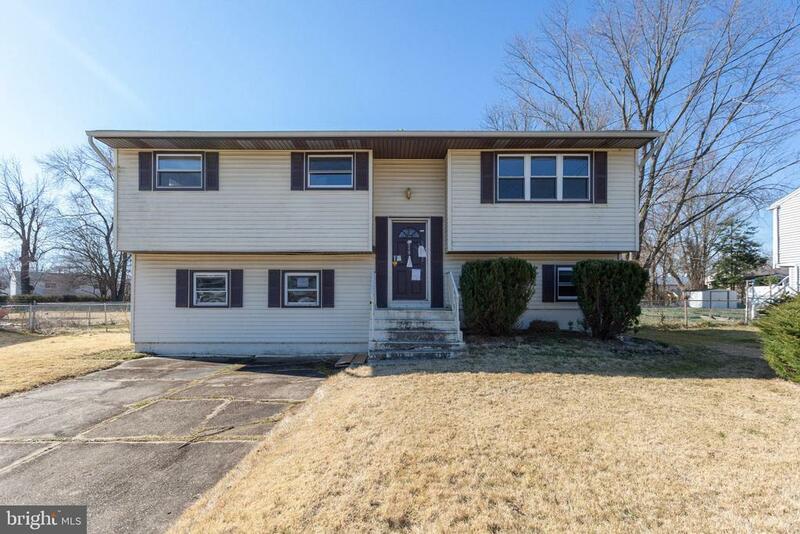 Some updating may be needed to make it move in ready but this house is a great option. ***Property disclosures - LOWER LEVEL FAMILY ROOM TREATED FOR DISCOLORATION AND CLOSET WALL REMOVED. UTILITY ROOM AND LOWER LEVEL HALLWAY TREATED FOR DISCOLORATION. TOILET MISSING IN POWDER ROOM***"
"Beautifully remodeled end-unit townhome in Rolling Hills East just minutes from all major highways, restaurants and shops. The corner lot offers additional privacy and 1-car garage/paved driveway provide plenty of parking. As you walk in you'll notice the brand NEW designer Pergo flooring throughout the first level of the home as well as neutral freshly painted walls and NEW carpeting on the steps. The living room is home to a charming fire place, new recess lighting and tons of space for entertainment. The dining room includes glass sliding doors allowing plenty of natural sunlight which lead out to the spacious back deck. This kitchen is a SHOW STOPPER! Featuring brand NEW Samsung stainless steel appliances, new custom white shaker style cabinetry, new modern quartz countertops and stylish backsplash. The lower level also has a convenient powder room and first floor laundry. Head upstairs to find an oversized master bedroom and spacious second bedroom both with modern flooring and plenty of closet space! There is a full bathroom on the upper level of the home as well. The backyard features a back deck ready for Spring BBQs and a large corner lot yard. This home will not last long! Book your appointment today before it's too late." 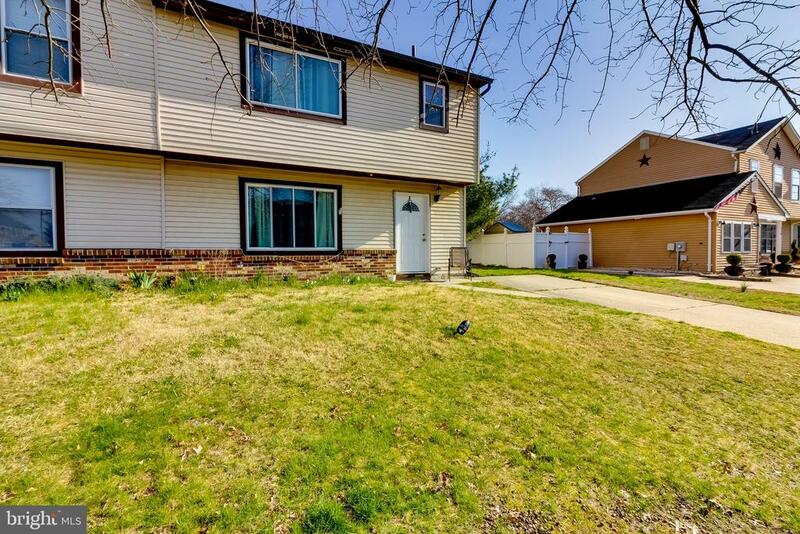 "Move right in to this lovely Well maintained and cared for townhome located in the sought after community of Rolling Hills. This home has been updated from top to bottom. New HVAC, AC, Waterheater, wood flooring, carpeting, ceramic tile and all new appliances. 2 Fabulous Bedrooms & A lovely loft that can be used as guest room / office. This feels like home. This is a must see. Make your appointment today." 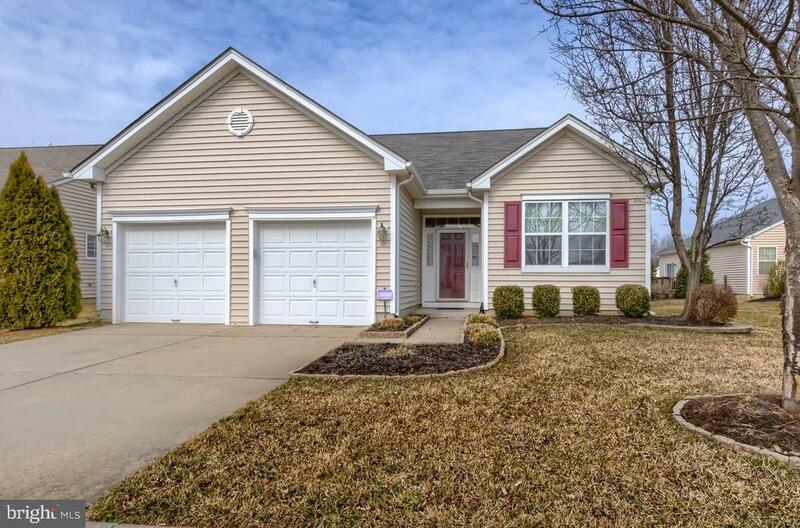 "3 Bedroom 2 full bath bi-level home located in the Holly Hills Development. 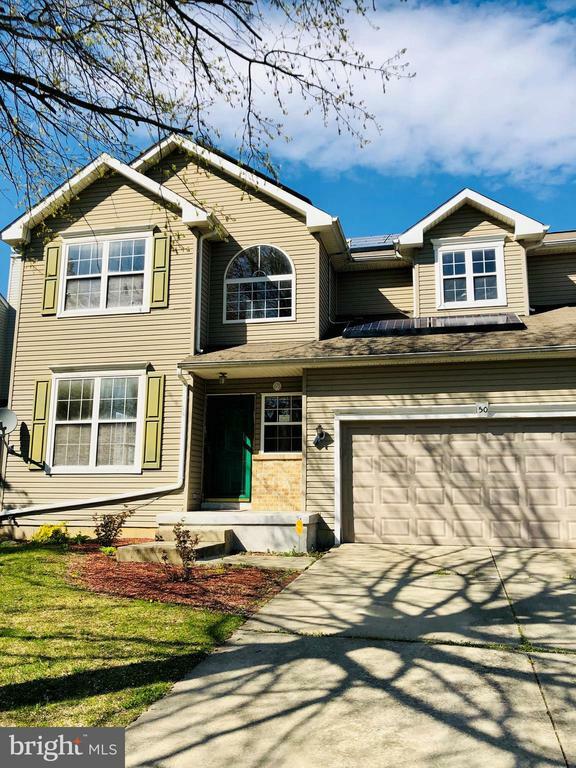 Property features hardwood flooring, updated kitchen with granite counter tops and stainless steel appliances, family room, gas heat, central air, patio, 2 car garage and more! Buyer is responsible for the Certificate of Occupancy. Property was built prior to 1978 and lead based paint may potentially exist. This property may qualify for seller(vendee) financing."